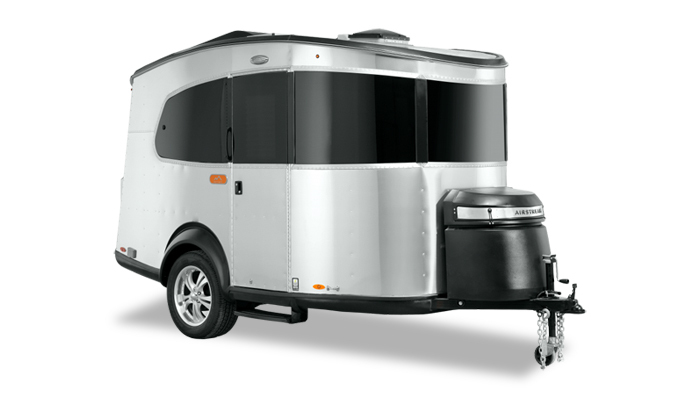 For those who want the very best—in design, function, and quality—Can-Am RV Centre recommends Airstream travel trailers. We’ve been selling Airstreams since Can-Am RV was established in 1970 and the Thomson family have been towing Airstreams since the mid-1960s. 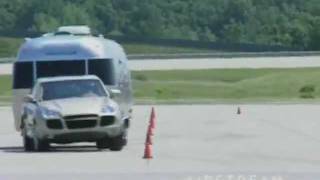 Can-Am remains Canada’s Top Airstream dealer to this day. Nest: Something brand new from the innovators at Airstream. The new fibreglass Nest features the same careful craftsmanship and attention to detail the Airstream is famous for but with automotive styling and a European flair inside and out. The Nest comes in two floorplans and it might be just what you have been looking for. Basecamp: Built for adventure the Basecamp is tough enough to go anywhere and yet will keep you comfortable and rested so that you can give 100% to the adventure at hand. Lightweight and nimble for SUV towing, you cna seat five and sleep two in this amazing versatile trailer. Sport: Lightweight and nimble – All of the essentials, the Airstream Sport is perfect for the outdoorsman looking to hitch and go. With its single axle design and effortless towing, take the Sport to those tight to fit campsites and places you just can’t fit with a full size travel trailer. With the aerodynamic design and lightweight chassis, enjoy maximum fuel efficiency on long-haul road trips. The Sport is available in 16 and 22FB floorplans. Flying Cloud: Practical and efficient – With more floorplans available than any other model, nearly 50% of Airstreams sold are a Flying Cloud. Let the modern design of the Flying Cloud set the picture-perfect atmosphere for you and your family. 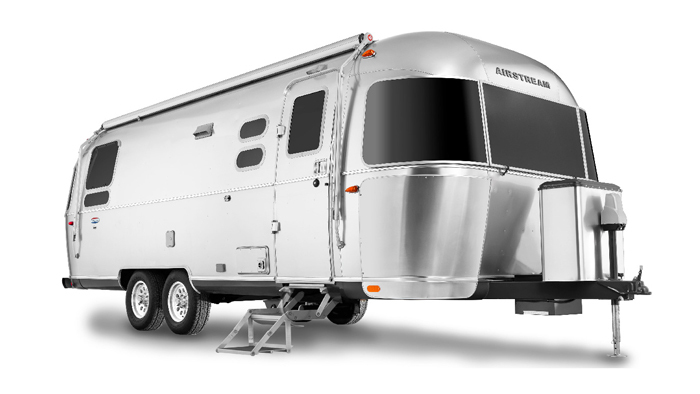 Like all Airstreams, the Flying Cloud features “Torflex” independent rubber torsion axle suspension by Dexter. It will tow easier, last longer, and require less maintenance than its “box-shaped” competitors. The Flying Cloud is available in 19, 20, 23D, 23FB, 25RB, 25FB, 26U, 27FB, 28RB, 30FB Bunk, and 30RB floorplans. Twin and bunk bed options available in select floorplans. International Signature: Sleek and sophisticated – A modern finish designed by award winning architect Christopher C. Deam, the International Signature redefines an upscale interior. Enjoy the sleek styling, Corian countertops, and beautifully lit LED cabinetry. The International Signature is available in 19, 23D, 23FB, 25RB, 25FB, 27FB, 28RB, and 30RB floorplans. Twin bed options available in select floorplans. International Serenity: East meets West – A calming interior, influenced by Eastern design. The International Serenity features a lighter tone finish that brightens up the interior space. Wherever you are, you’re home with the International Serenity. The International Serenity is available in 19, 23D, 23FB, 25RB, 25FB, 27FB, 28RB, and 30RB floorplans. Twin bed options available in select floorplans. Tommy Bahama: Two free spirited American Brands, one trailer – it's like a beach house on wheels. 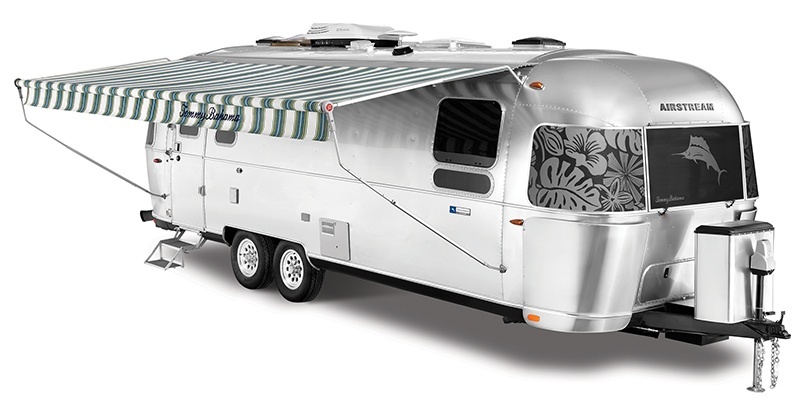 The Tommy Bahama returns as a popular addition to the Airstream lineup. This limited edition model includes wood shutter blinds, Caribbean-style matte cabinetry and Ultraleather seating. An exclusive accessory package includes details for the bath, kitchen and bedroom. Available in two floor plans and as an interior choice for the Interstate the Tommy Bahama is making quite a splash in Airstream circles. By popular demand, the rear door option originally featured in the Eddie Bauer is back for a limited time only. Classic: Elegant design, the Airstream Classic features cherry hardwood cabinetry and luxury woven vinyl flooring by INFINITY. Exclusive to the Classic, luxurious furniture by Villa International is the most comfortable seating available in any Airstream. For ease and comfort, the Classic comes loaded with dimmable LED lighting, power bed, sofa, and dinette table. As Airstream’s most historic nameplate, the Classic truly is an American icon. The Classic is available in 30RB Queen or 30RB Twin floorplans, and the new 33 front bedromm. What’s so special about Airstream travel trailers? 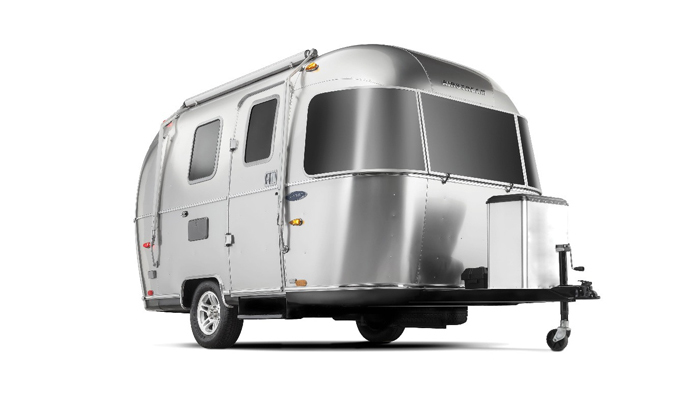 Towability: A low centre of gravity, an aerodynamic shape and a lightweight aluminum structure means that towing an Airstream is comfortable and safe. 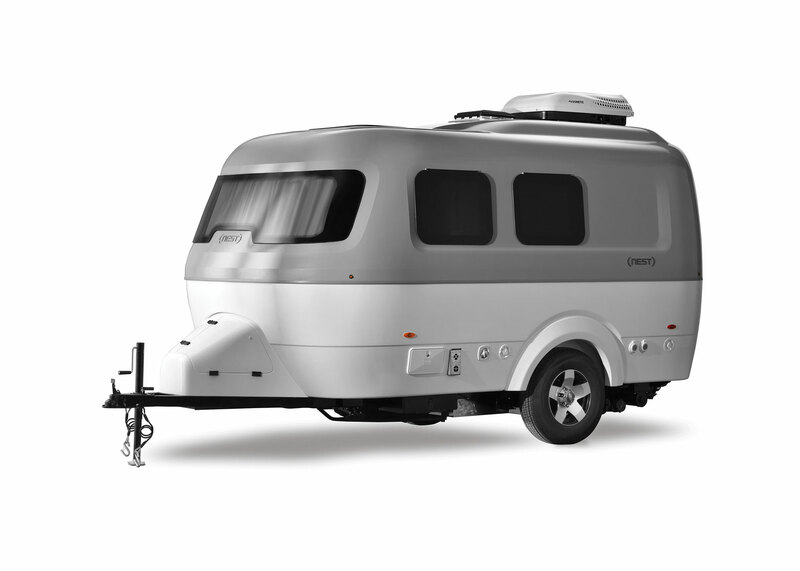 Better, yet, Airstream travel trailers can frequently be towed with the vehicle you already own when you take advantage of Can-Am's expertise in custom hitchwork. Quality: Airstreams are hand-built in Jackson Centre, Ohio, requiring more than300 man-hours and 3,000 rivets. 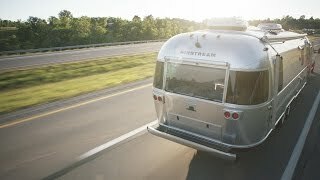 We encourage all of our customers to tour the Airstream factory, or at the very least, watch the Discovery Channel’s How It’s Made video, so they can see for themselves the craftsmanship that goes into every Airstream. 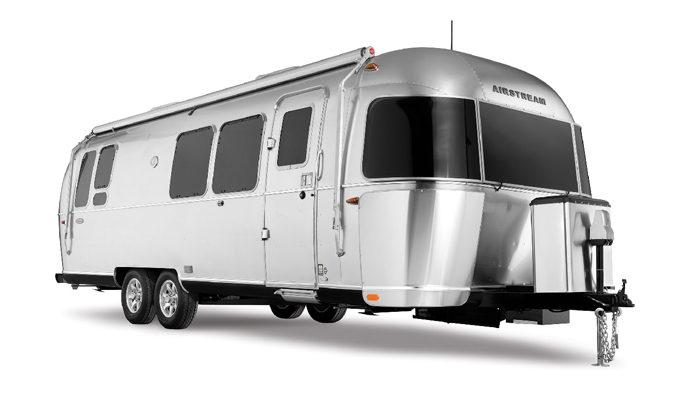 Airstreams are built to last and hold their value longer than any other RV on the market. More than 70% of the Airstreams that have been built since the company was established in 1931 remain in use today. 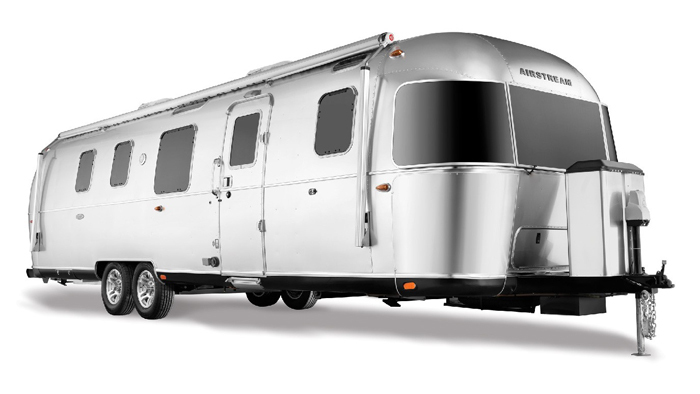 Design: The silver Airstream has become a North American icon. 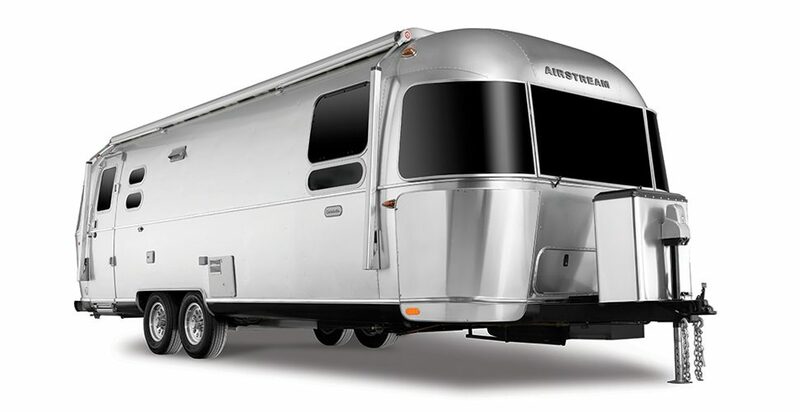 Whether it’s the magical symbiosis of form-and-function or the elegant, understated best-in-class decors, Airstream travel trailers are the first choice for designers, architects, celebrities and those who value the very best. 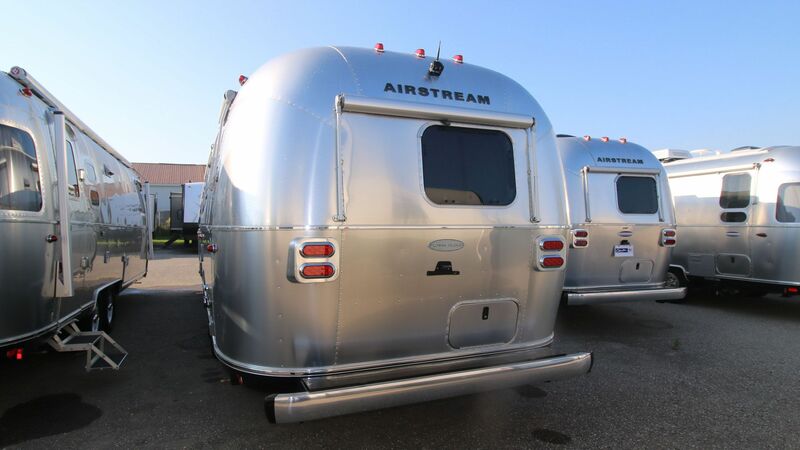 At Can-Am RV, we always have at least one Airstream hooked up and available for you to take for a test drive.